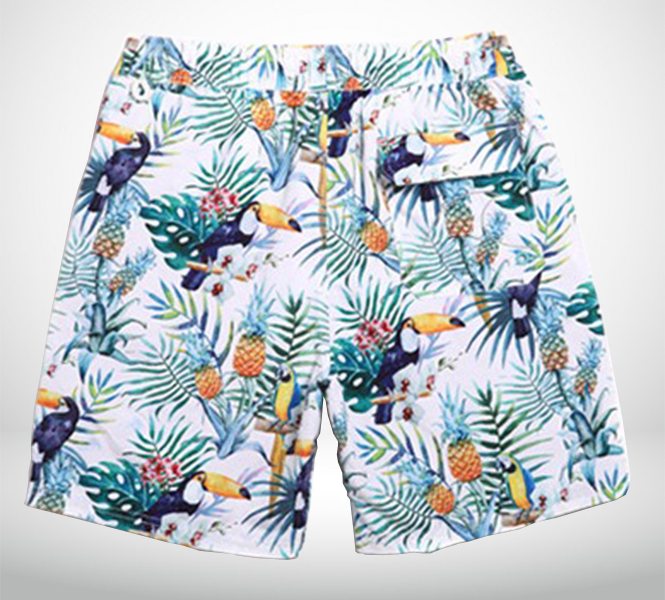 These drawstring beach shorts have two things that go hand in hand for a tropical summer of style - Pineapples and pelicans. 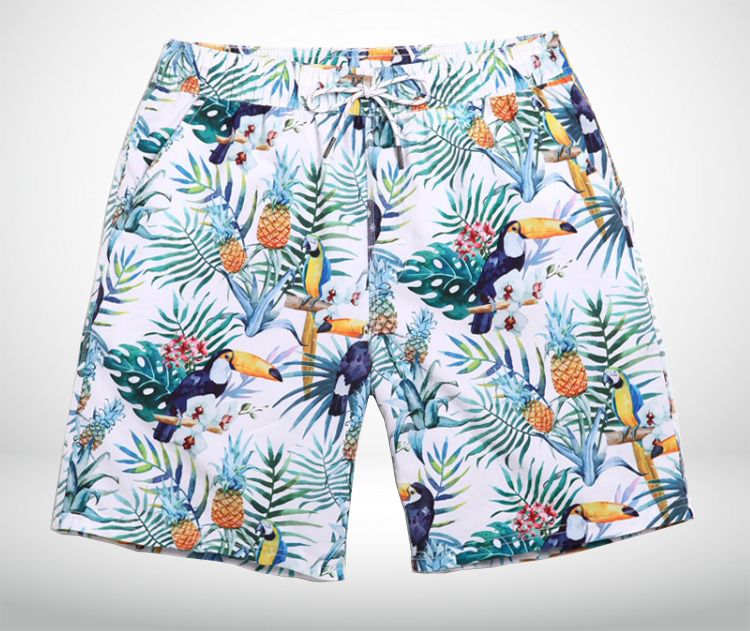 These pineapple shorts and other floral print shorts mens fashion styles will make you attractive and a savvy gent during the summer months. 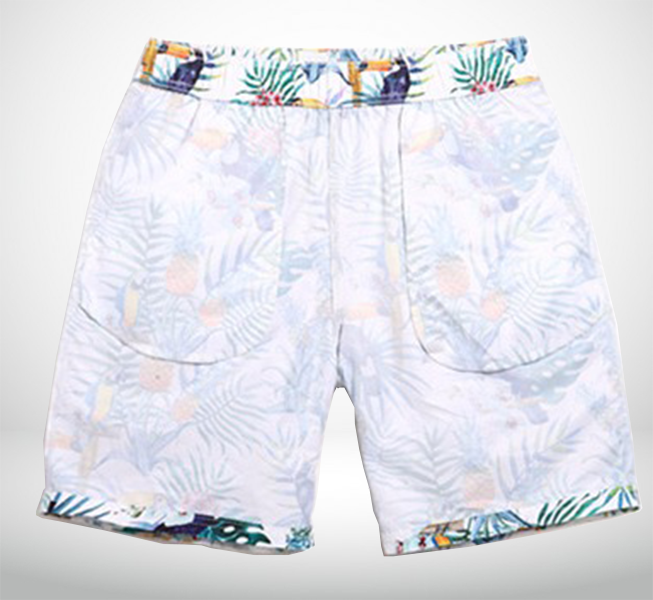 Whether you're wearing this as a causal look, or even as one that will have you looking appealing at the beach, these drawstring shorts are among top picks that fashionable men of style admire. One of the best things about luxury shorts like these are that they really have an emphasis on superb art. With it's creative flair in white and turquoise, with summery orange pineapples, you'll look playful, and charming, all while boasting a well-kept nature, just as the season calls. 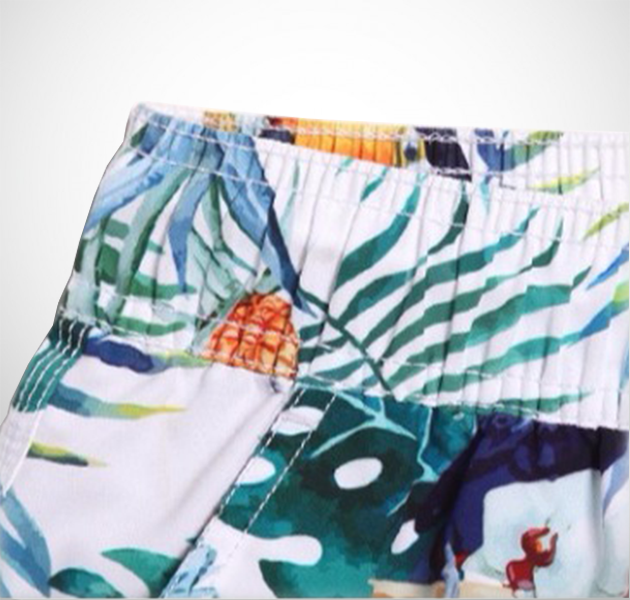 These turquoise and white, tropical patterned pineapple print shorts demands a look that will complements its art. Wear crisp white sneakers and a white t-shirt for a clean, simple, and comfortable casual yet high end summer look. To take things a bit more well-kept, throw on a white polo t-shirt with these shirts and you'll be country-club savvy, in a really artsy way. 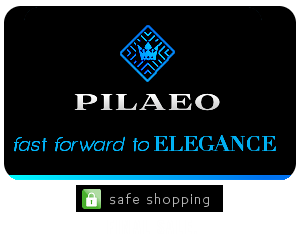 fashion styles will make you attractive and a savvy gent during the summer months.